On the way to Irkutsk, the scenery oscillated between dense forest and rolling steppes what is called Taiga in the local dialect. The landscape was beautiful and our eyes were glued to the window. However, the emptiness continued. The journey from Novosibirsk to Irkutsk lasted thirty hours. We were already five time zones away from Moscow. Irkutsk is one of the oldest cities in Siberia. Founded in 1651 at a distance of 5185 km from Moscow, it was the launching point for Russian expeditions to the far east and North America. Administratively, Alaska was controlled from Irkutsk when the former was still part of the Russian empire. The Decembrists the first generation Russian revolutionaries who mounted a peaceful movement for reform in 1815, were exiled in Irkutsk. The city boasts traditional wooden architecture of Siberia. It has some of the finest cabins we have seen anywhere in Russia. We felt that the city deserved the epitaph -- the Paris of Siberia. Irkutsk is a very pleasant, walkable city though. We literally walked from one end to the other. The city is also more heterogeneous than Moscow or Novosibirsk. There was a fair share of Mongoloid people mostly the Buryat community in the city. It was also startling to see many white and blonde Russians, who looked very poor. We went to the Decembrist Museum, but only to find out that they would close before the scheduled time and hence would not be able to give us access to the whole museum. Russia has apparently embraced the text book capitalism. The free market is not necessarily free and it often requires regulations and interventions. In Russia, the market is perhaps too free. The market mechanisms are yet to work well here, even when there is demand. It seemed to be a suppliers market. We waited for over an hour, along with around sixty Russians, for a bus to Lake Baikal. Apparently, there was no scheduled service, despite the fact that thousands of tourist flocked to see Lake Baikal everyday. The service is left to the whims of independent Mrshrutka minibus - drivers, who come and go as they please. We paid 70 Rubles each to go there but paid 100 on the way back. The availability and cost of the transportation seemed rather arbitrary. Lake Baikal was worth the trip - it is simply magnificent. It is the Pearl of Siberia. The banana-shaped lake, stretching 636 km from north to south is roughly 60 km across at its widest point. At 1637 meters, Baikal is the world's deepest lake and it contains roughly 20 per cent of world's fresh water. Its crystal clear blue water is alluring. We had our bathing suits with us, but the water was deceivingly cold. The lake is surrounded by beautiful green mountain cliffs. I am sure it is a completely different sight in winter, when the lake is frozen and the mountains are draped in white. We heard that many go for ice skating on the lake. The ice sheath gets really thick. We learnt that the Russian government laid out train tracks on the ice-covered lake to transport soldiers during the Russo-Japanese war in 1905. Once on the lake, we took a hydrofoil to go to Bolshie Koty, a typical fisherman village. The quaint place was charming and idyllic. In the 19th century, it was a launching pad of the Siberian gold rush. The local tourism industry could consider putting a walking or hiking trail in and around the village. We walked around on our own and explored the place. 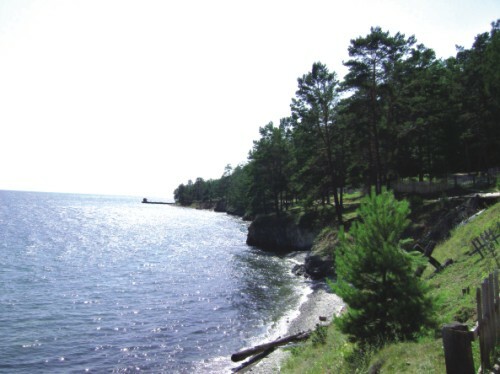 This was also an ideal place to try the unique Lake Baikal fish Omul. It is a delicious sweet water fish a strong competitor of Salmon in taste. 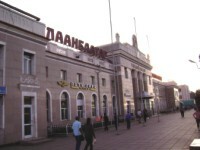 After two nights in Irkutsk, we boarded train 365 to Ulaanbaatar, popularly called UB. This train did not have first class, but we managed to get four second class berths in the same compartment. This was essential, not as much for privacy, but rather for a minimum level of comfort. The train also lacked a dining car. The distance between Irkutsk and UB is only 1119 km but it took us a solid 35 hours. The train crosses into Mongolia at the Russian border station of Naushki. It was a long 10-hour wait at Naushki to complete Customs and Immigration on the Russian side. The Mongolians, however, only took less than 30 minutes to finish their requirement. A Dutch couple who was on the same train with us had a horrifying experience. They overstayed in Russia just by one day. They were sent back to Ulan Ude, 300 km north to get an extension of their visas and pay the applicable fines. It took them one night to go back there and another 24 hours to complete the formalities in Ulan Ude before they were allowed to leave Russia. So, please keep an eye on your visa expiry date if you plan to visit Russia. You may not be allowed to leave even if you over-stayed your welcome by a few hours. The change in the landscape was drastic once we entered the Mongolian territory. It almost immediately became harsher, drier and more rugged. We saw vast swaths of land without any habitation and the traditional felt-covered Mongolian dwellings called ghers used by nomadic people. 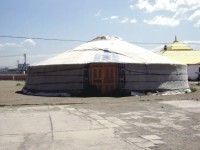 Ghers are round tent-like structures that can easily be disassembled, moved and reassembled. Vegetation became increasingly scant the trees were replaced by grassy steppes. Mongolia looked very different from Siberia. Before nightfall, we eagerly peeped out of the window to devour the change in nature. It was mystifying. I tried to imagine what it was like for Chengis Khan and his followers to emerge as the mightiest among all human races. Few years back, I read the book “Chengis Khan: Making of the Modern World.” It was a revisionist history and shed new light to the great Khan's life and contribution. The Great Khan was humanized and I thought it offered a brilliant account of his life not as a blood-thirsty warlord but rather as a crafty statesmen, military strategist and a nation builder. We were in the land of Chengis Khan. During the communist era, Mongolians were prevented from honouring the Great Khan. He was a reviled historical misfortune. But since Mongolia turned the capitalist way, there is a renewed sense of pride among the modern Mongolians to recognise him as their national hero. Last year, they celebrated the 800th anniversary of the birth of the Mongol nation. In 1206, Chengis Khan united the Mongol people and became their beloved Great Khan. Our train rolled into the Ulaanbaatar station at 7:30 am, two nights after we left Irkutsk. The train station was unremarkable. We found a taxi without a hassle. The fare was only two dollars, down from five that the driver asked for. We whizzed through the city's main street Enkh Talvny Orgon Choloo Peace Avenue. The city was established in its present location in 1788 but most of its infrastructure came up during the communist era. It looked very much like a Soviet city modern but somewhat synthetic. Mongolians also use the Cyrillic alphabets, so the signs and billboards looked very Russian. The Ulaanbaatar Hotel is one of the best in town. A family friend of ours visited UB in the mid-1990s and he stayed in the same hotel. At that time UB had no air-conditioning, even in its topmost hotels. It is very different now. The renovated UB Hotel was the best we had during our two weeklong journey along the Trans Siberian. It was far better than the pricey five star Sheraton Palace Hotel in Moscow. Perhaps our expectation from the UB Hotel was low and we were simply thrilled to get a very nice deal. We resorted to the Lonely Planet to optimize our one-night stay in UB. Our first stop was at the Gandan Khild a Buddhist monastery from the 19th century. It boasts a 26.5 m tall gold statue of Buddha. The one they have now is a replica. The original was taken to a St. Petersburg museum in the 1930s. It was an unusually hot day in UB. We could not afford to spend too much time in the courtyard of the monastery and explore its many attractions. But it was worth the visit. We also visited the National Museum of Mongolian History at the Sukhbaatar square. It is one of the finest museums we have seen in recent years. The collection was small but very well presented. Each artifact had detailed description in English which made the Museum all the more attractive. It was interesting for me to notice some similarities between Mongol and Bangla words. The word 'Baatar” means hero in Mongolian. Bahadur the Bengali word for hero is a derivation from Baatar. We met a friend in UB who we knew from our graduate school in the United States. Her name “Badma” is actually derived from “Padma” in Bangla. We could find some Sankskrit influence in some Mongolian names. UB offers an exciting nightlife. It seems that the city actually wakes up at night. We went to an Irish pub in the heart of UB, which was jam-packed with expats and cosmopolitan looking Mongolians. Our friend and host a member of the Mongolian parliament from the district where the restaurant was located complained that the Yuppie Mongolians did not usually vote and they did not care about politics very much. They were apparently more concerned with making money and catching up with the West. The wind of change was palpable. We also noticed a remarkable change in the quality of service. It seems that there was a continuum of improvement along the Trans Siberian. Mongolians seemed more service minded than the Russians on their Northern border and the Chinese as we would soon find out beat the Mongolians in customer service by a wide margin. We are not sure whether the higher quality of service in Mongolia and China was a function of the Buddhist influence in these socities. Perhaps it is.